Use 20 lb. uncoated wide-format roll for low-cost printing and xerographic copying. Scratch-resistant, mark-resistant design features a 3" core, dust-free surface and smooth finish. 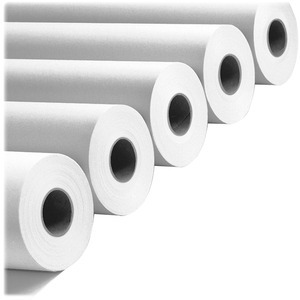 Paper roll is compatible with all major xerographic copiers. Use for all CAD/engineering applications.